Darche’s double and Kris Boyd’s early strike secured a crucial 3-0 win for Walter Smith’s side as they closed the gap on Celtic at the top of the SPL table. 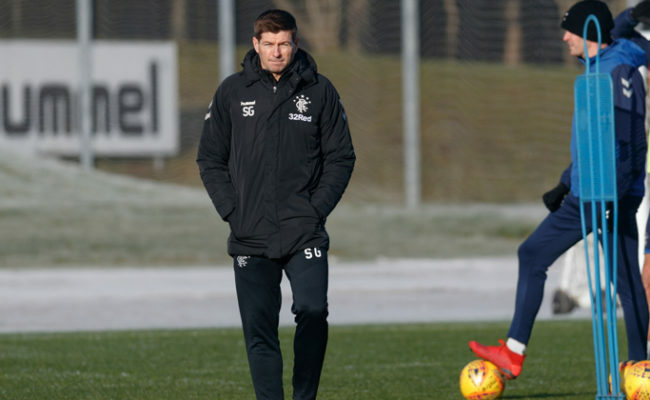 Rangers’ main objective was the three points on offer but with goal difference a possible factor on the final day, any additions to the goals for column would be welcomed by manager Smith. The Gers boss picked a suitably attacking line up with Boyd partnering Darcheville up front and Nacho Novo adding a threat from the left. And Boyd got his side off to the perfect start with less than 4 minutes on the clock when he was on hand at the back post to tap in Kirk Broadfoot’s ball across the face of goal. The big full back had picked the ball up when the industrious Davis floated it across the box and the former Saints man’s square pass was narrowly missed by Novo before Boyd popped up to open the scoring. With Darcheville and Novo buzzing around either side of him, Boyd was the focal point for Rangers’ attacks in the first half. And when he won a flick on to the Frenchman in the 15thminute Darcheville’s return ball from wide on the right found the Gers No.9’s head. But under pressure from the Saints defence he couldn’t direct the effort on target. Seven minutes later the goal scorer had a great chance to release Davis on the right, but he opted for a snap shot and it came off the back of the defender. But Gers fans had just another minute to wait to see their team add to the tally when a defence mistake from John Potter allowed Davis to steal the ball on the edge of the box. He fed Darcheville and after taking a moment to weigh up his options, Darcheville fired a low right footed effort beyond Mark Howard. With Rangers chasing more goals things were getting heated and when Whittaker and Mehmet clashed leaving each other sprawled on the turf, Thomson’s clearance struck the Saints forward. That sparked a coming together involving several players with Whittaker, Thomson, Mehmet and Hugh Murray all emerging from the melee to pick up yellow cards from referee Craig Thomson. 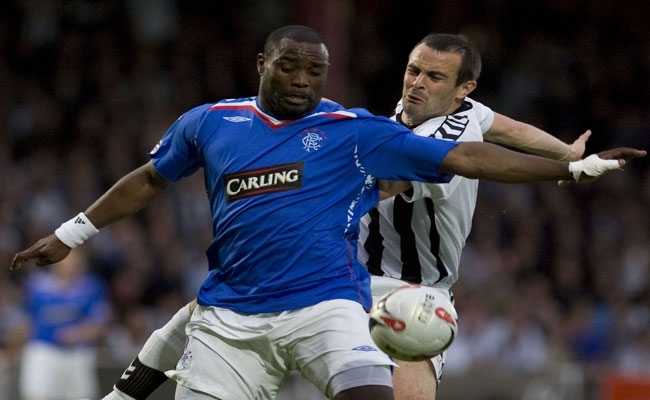 Darcheville almost added a third just minutes before the interval when his overhead kick rattled the upright. Davis was again the source of the chance when his good work on the right earned him time to cross for Boyd at the far post. Boyd’s header was partially blocked and Darche attempted the acrobatic finish, but with Howard beaten the Saints were saved by the post. The same two combined again on the stroke of half time when Boyd won yet another aerial challenge and laid the ball back to his strike partner, but this time Darcheville lashed his right foot shot well wide. Saints almost hit back early in the second period when Franco Miranda’s wicked free kick fizzed across the face of the Gers goal, but there was nobody on the end of it for the home side. It took the visitors a good six or seven minutes to get going again in the second half and when Ferguson picked out Broadfoot on the right the full back’s cross produced the first real chance of the half for his side. 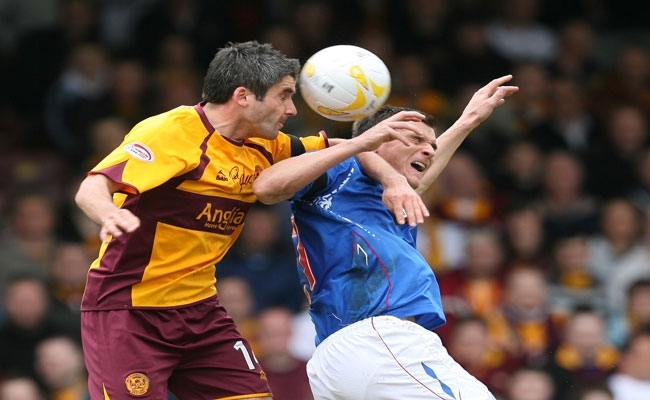 Boyd again won a flick on and when it fell to Novo his curled attempt at the top corner was headed behind for a corner. The little Spaniard had a better chance just a few minutes later when Darcheville picked him out in the box just 12 yards out, but his drive was sliced well wide of the post. Rangers were becoming steadily more dominant in the game and when Andy Dorman pulled Ferguson back on the left wing he became the third Saints player to be shown a yellow card. 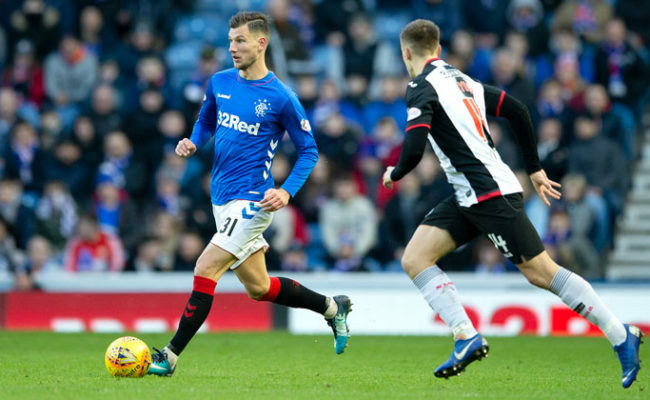 With the home team packing their back line, Rangers were drawn in to launching long balls at Boyd and aiming set pieces at their tall centre backs. And when Thomson found an inch perfect delivery, Davie Weir was on the end of it to head the ball goalwards, only for Howard to pluck it out of the air at his left post. Then came the goal that was the perfect example of Darcheville’s strengths as Ferguson picked him out with an excellent ball from the left channel after 69 minutes. 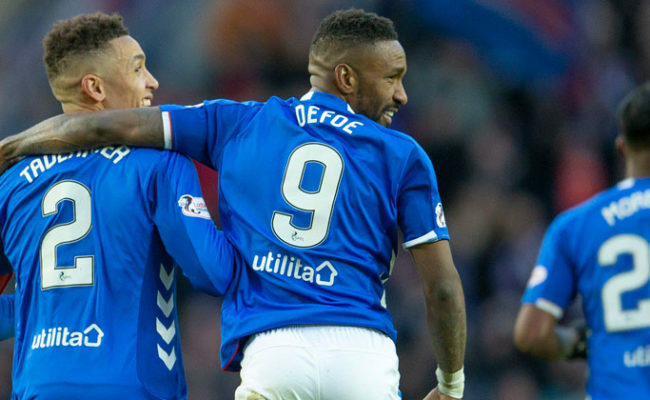 The Frenchman didn’t have to break stride and slotted it neatly under the advancing Howard to secure the points and send Rangers looking for the strikes that might narrow the gap in the goal scoring stakes. To aid the cause Smith sent on DaMarcus Beasley to replace Novo and earn his first appearance since damaging his knee in a Champions League fixture in Stuttgart back in November. And he was joined in the attacking set up by Daniel Cousin who replaced double goal scorer Darcheville in the 81st minute. There were loud claims for a penalty shortly after Cousin’s introduction when Boyd won a back post header and it was cleared off the line, but the referee ruled that the Saints defender had blocked with his chest. Tempers flared again with two minutes left when Ferguson was left sprawled on the turf after a clash with Stephen O’Donnell. It earned O’Donnell a booking, with Weir also seeing yellow for his reaction to the initial challenge. 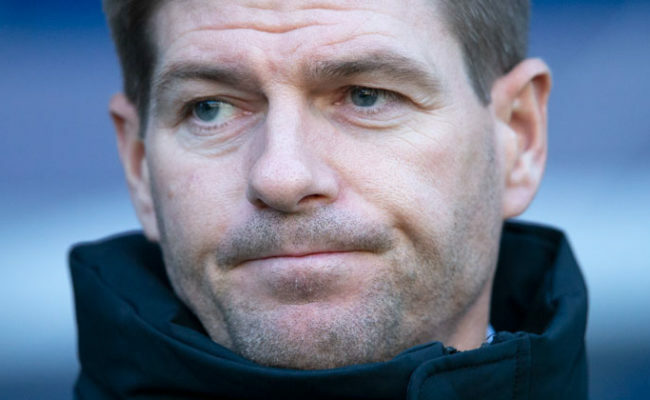 Beasley could not produce a delivery from the resulting free kick and Rangers were left to settle for a three goal win that sends them to Aberdeen on Thursday knowing they must better Celtic’s result at Tannadice to lift the SPL title. Rangers: Alexander; Broadfoot, Dailly, Weir, Whittaker; Davis, Ferguson, Thomson, Novo (Beasley 77); Boyd, Darcheville (Cousin 81). Subs: G.Smith, Furman, Fleck, McMillan, Faye. St Mirren: Howard; Barron, Potter, Haining, Miranda; McGinn (Hamilton 55), Murray, Mason, O’Donnell, Dorman; Mehmet. Subs: C.Smith, Dargo, McCay, Docherty, McAusland, Burns.